Let me introduce her Majesty the Czech Republic! It is a small country (78,864 sq. 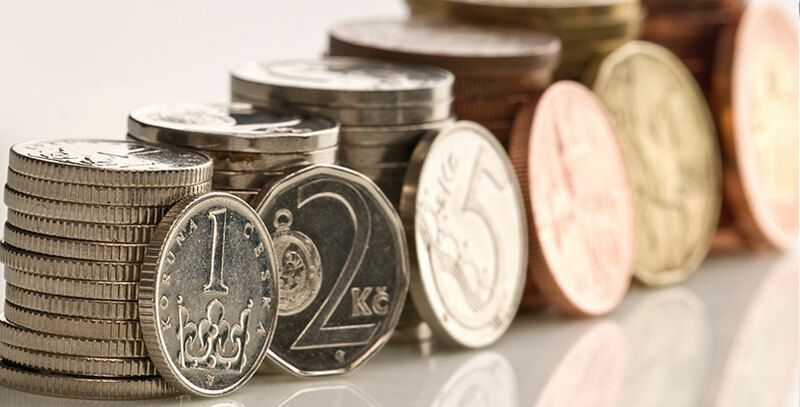 Km), which is located in the heart of Europe, it not only preserves its traditions, language, but also preserves its national currency – Czech koruna. Czech Republic is bordered by Poland, Germany, Austria, Slovakia. The country is divided into three historical regions: Bohemia, Moravia and Silesia. It is no wonder that it is a great place for ski tourism, exploration of the architecture of medieval towns, castles and vineyards, for medical and SPA-resorts. Prague's public transport system is integrated into a single structure, a single ticket is being used for buses, trams and metro, such ticket is called «Jízdenka» in Czech. You can buy it in a special vending machine located in metro, at bus stops or in tobacco shops called «Tabák». Ticket price depends on length of your passage, for example, if a trip from your hotel to the city center takes 15 minutes, then you will need the ticket, which costs 24 korunas, since it is designed for a 30-minute trip. On the reception of a hotel you can get help with the choice of the correct ticket. Tickets are valid for all kinds of public transport. You can see a lot of controllers in public transport of Prague. The penalty for ticketless trip can be up to 1,500 korunas (55 euros). Prague Metro works only until 00:00, but you can use night routes of trams and buses, all of such route numbers begin with the 5 digit. The penalty for a trip using the expired travel ticket or without a ticket reaches 1500 Czech korunas. At each stop you can find the precise running times and routes with the specified time of arrival and the list of stops on a route. You can easily get from one to another part of the city without any problems at any time of day or night, because there are night routes of trams and buses working in Prague. Their numbers begin with 5 digit. Almost all trams and buses are equipped with buttons to open doors. In order to exit or enter the bus you shall press the button located either near the door or on the vehicle doors. On September 1, 2012, the public transport system of Prague was optimized in order, for example, to limit simultaneous tram routes, some of which were merged, new routes were added in order to reduce travel time and to make the route more convenient and comfortable. The most detailed diagrams of traffic of buses, trams and all the updates are available on the official website of the Prague Transport Management Administration: www.dpp.cz. After buying a ticket, do not forget to validate it at the entrance to metro, bus or tram using the yellow validator. Mark with the start time of the trip will appear on a ticket. Do not forget to keep track of time. Travel with the use of the expired ticket is equal to the ticketless travel. We recommend to buy a monthly pass for those who are very actively travelling around the city using public transport and for those who came to Prague for more than 14 days. Such pass can be purchased at major metro stations such as «Můstek». It is called «Přenosná 30 denní s volitelným začátkem doby platnosti. Papírový kupon». Although it costs 670 Czech korunas, but it will save you much more money. Such ticket for children, pensioners and students costs two times cheaper. Tickets are valid for all kinds of public transport, it applies even to the cable car on Petriny. Taxi is a great way to travel, but for your own safety you shall call it only from the reception. Receptionists care about the reputation of their hotel and usually use only tested and reliable taxi services. The car, which is ordered by receptionists, will arrive to you in just 5-10 minutes. The cost of a taxi drive in Czech Republic consists of the following points: boarding, route mileage, waiting. If you always carry a business card of the hotel, then staff of any shop, restaurant or cafe can easily help you with a taxi call. If you go back to the hotel late in the evening, you can also use the special parking area for taxis, however, in this case, you shall know that the trip will cost you at least twice as expensive. We strongly do not recommend to catch a car on the street. It always costs several times more expensive. En cas de maladie grave ou blessure en premier lieu, veuillez communiquer avec votre compagnie d’assurance. Le numéro d’assisence téléphonique se trouve dans le document d’assurence sur lequel vous aurez toutes les infos sur l’assistance médicale à tout moment de la journée. N’oubliez pas que la compagnie d’assurance couvre uniquement les établissements médicaux, avec lesquels elle a conclu un traité et un médecin indépendant, et un appel d’un médecin indépendant peut vous coûter une grosse somme. A Prague, un certain nombre de pharmacies travaille 24/24, par exemple, troi rues avant la place Wenceslas (station de métro Muzeum) dans la rue Palackého 5 (dans le bâtiment de la polyclinique, Tél. 224 946 982) ou la pharmacie U Svaté Ludmily dans la rue Belgická 37 (station de métro Namesti Miru, tél . 222,513,396). 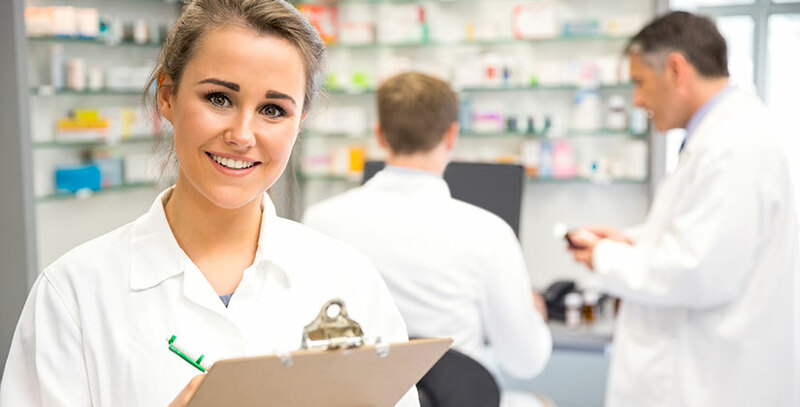 Une liste plus détaillée des pharmacies vous pouves consultés sur le site Web www.zdravotni.praha.eu dans la section «Pohotovostní de službou de Lékárny (24 hodin)». Each tourist coming to the Czech Republic is interested in where and how to converse currencies at the best rates. There are numerous exchange offices in the center of Prague. But please pace yourself. We have a few tips regarding it. Never converse currencies with strangers on the street. You will surely to run into problems. Instead of Czech korunas you may be handed some "banana republic" currency or simply fake cash printed on the printer. So where should you converse currencies? First of all, you can converse currencies without any problems almost in any bank of the city. Current exchange rate and conditions of exchange are always indicated above the cash register. Here you will be charged a commission of not less than 2% of the total sum. You shall always carefully study the rules and not rush. Secondly, very often you can converse currencies at the reception of the hotel in which you live, but even if the hotel does not provide such a service, then the worker standing at the reception can always advise several reliable exchange offices, which numerous guests have always used. Well, of course, the currency can be exchanged at any particular exchange office called "CHANGE", the center of the Old Town is almost packed with them, but in this case you shall be especially careful. Often you can see a huge sign “0% COMISSION” on the exchange office indicating the most favorable rate. As a result, it may turn out that there is still some fee to be paid and the favorable rate is valid only in case of exchange of a very large sum. Never exchange large sums. The best way is, for example, to exchange a hundred euros and to see if the exchange office works fair. When exchanging currencies, stick to the following scheme. Show a bill that you want to change to the cashier and ask a direct question: "How many korunas do I get?" In response, the cashier shall indicate the sum on a calculator, then you shall compare the rate at which the cashier calculated it and then you shall compare it to the rate indicated on the panel. And only then you shall make a decision concerning the exchange. Do not hesitate to ask about all the details. Remember that once you get your hands on the money and suddenly realize that they are miscalculated nothing can be corrected, because in the process of exchange you will sign a short agreement with the conditions of exchange. If you see that the exchange rate is different from the one on the panel or cashier starts to rush refusing to specify the exact amount, then it is best to exchange currencies elsewhere. Don’t be nervous, if you don’t fuss, carefully study the conditions of exchange, then everything will be all right. Now that you have the money you can go for lunch or for a coffee, buy souvenirs, visit a museum, a zoo, a concert, and we will help you with it. Parking areas in Prague are divided into three categories of different colors: blue, green and orange. The guest of the capital shall use parking, which is marked only with green and orange color or free parking, which is marked with white color. The maximum parking time on the green line is 6 hours and at on the orange line it is 2 hours. You shall pay for parking by inserting fractional coins in the nearby parking machine. The parking ticket shall be placed on the inside of the car’s windshield. Blue parking zone is designed only for owners of the special parking card issued by the municipality of the city. You will be fined or your car will be evacuated for parking in the blue zone. Be sure to ask at the reception desk of your hotel if they have a private parking, it usually does not cost more than 20 euros per day. Prague metro annually transports over 600 million passengers. About 40% of Prague citizens are choosing it as the main form of transport. Guests of the capital believe that the Prague metro is the most comprehensible, fast and clean in the world. Each train car has panel, which shows the direction of travel and the name of the current station. Prague metro is only 40 years old, it consists of three lines - A (green), B (yellow) and C (red). Lines A, B and C form a transfer triangle in the city center. Nowadays, the total length of its lines is about 60 kilometers having 63 stations. Metro operates daily from 5:00 to 00:00. You will need the «Předplacená karta» SIM card to stay in touch, make posts on social networks with photo reports concerning the trip. These cards are called "prepaid", the cost of the card is equal to the amount of money on it. After each of your call, you will get SMS-message about your balance. You can buy the card almost in any store, supermarket or communications store. At the reception desk of your hotel you can find out how to recharge the card and how to connect to the Internet using the card. Cost of one minute of conversation is about the same using all the Czech operators. You can buy a SIM card without presenting documents. Typically, these cards are being sold at the reception of any hotel. It is very easy to get Tax Free refund in the Czech Republic. Usually there is a distinctive Tax Free sticker on the shop door or at the front of the cash register. But, after all, before doing shopping in a store, be sure to ask the seller if such shop provides Tax Free services. Tax Free refund can be registered only if you spend more than 2000 Czech korunas in one shop. You will need an international passport in order to register Tax Free refunds. After filling out the form, make sure that all fields with contact information (name, surname, date of birth, passport number and city of residence) are filled out correctly. In many stores, the seller asks to fill out a form at the hotel on your own so as not to create a long queue at the cash register. Before leaving the airport, ask the administrator of the hotel to check if the form is filled out correctly. 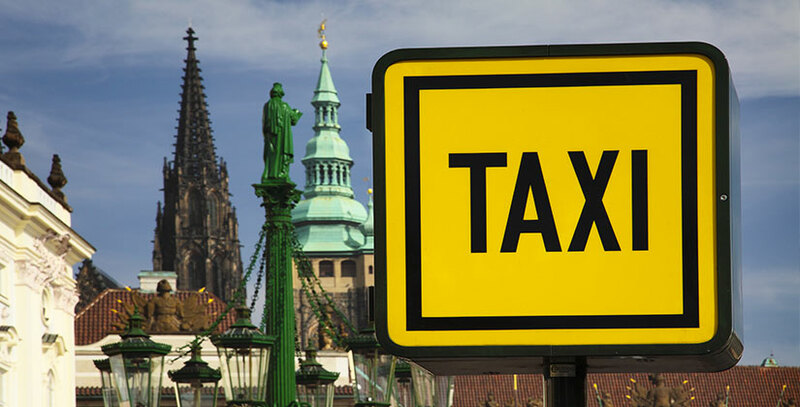 How to get the Tax Free refund at the international airport in Prague? The easiest option is to check in for a flight the day before your departure and to print an electronic boarding pass at the reception desk. Upon arrival at the airport, before winding your bags with film and handing your luggage at the front desk, go to the left side of the hall of departure, there is located the checkpoint for the Tax Free purchases. You shall present the control officer the completed, signed Tax Free form, your passport, electronic ticket and your purchases. Once your form has a control seal, go to one of the banks performing refunds called «Refund», «Global Tax» or «Tax Free», which are located a few meters from the shopping checkpoint. That’s where you can get your refund in euros, dollars or Czech korunas after the presentation of the form marked as the control Tax Free form. Now you can finally pack up and go to the check-in counter to drop off your luggage. If you are unable to check in for your flight and to print your boarding pass in advance, then it is better to go to the airport early, you shall pack your purchases (for which you are planning to make a Tax Free refund) in a separate bag, which you can easily take with you on the plane as hand luggage. Upon arrival to the airport you shall immediately get a boarding pass at the front desk and drop off your main luggage, then you shall go to the point of control of Tax Free purchases, which you prepared in advance. Prague is safe enough, but despite this, be careful when going out in the streets. We encourage you to read this article in full in order not to get in trouble while you are on holiday in Prague. Our tips will surely help you. First of all, do not forget to hide all your valuables (jewelry, cash and laptops) in safe. According to the law of Czech Republic, hotels are not responsible for guests' valuables left in the room. Safe is the perfect option in this situation. This does not mean that the hotel maids are working with criminal intent, but additional security will never hurt. Before leaving the hotel, make sure that your wallet and phone are in your bag and are not sticking out of the back pocket. Take only the necessary amount of money for the day. In case of loss or theft of a purse you will have the remaining money at the hotel. Please note that on all the doors of public transport have large posters with the following warning: "Beware of pickpockets". In 2006 years the Czech Republic was visited by about 8 million tourists, it attracts a lot of frauds. In case of large number of people in public transport you won’t even notice how your jewelry, wallet and phone will be gone. Be careful while searching for currency exchange offices in the city center! If you get approached by a man with an offer to exchange money at a very favorable rate or to go on a trip for a cheap price, then most likely it is a fraud. What if you try to exchange money in a private exchange office and the cashier refuses to write a sum of exchanged money on a paper or to indicate it on the calculator, distracts you or rushes you? Probably, it is also a fraud. 1. When entering the restaurant, try feel its atmosphere: try to feel if it is hearty and hospitable. You shall rate the interior, because good restaurants are always neat and clean. Look at the waiters: they may look happy or their facial expressions may show cosmic sadness. If you did not like something or if something looks strange to you, then you shall immediately leave. There are around 3000 restaurants in Prague, you will surely find one that you will enjoy. 2. Learn the menu carefully. Pay attention to the hidden notes, which are written in small print. The check may include a service fee of 10%, which is prohibited in the Czech Republic. Additional fee may also be charged for pastries, honey, lemon or sugar. It will be very unpleasant if you check will contain snacks that you took as a compliment from the restaurant. 3. Good places always have checkout counters. Do not hesitate to ask where it is. And also verify whether there is the possibility of cashless payment by credit card. You will be handed a check in the form of a receipt for tax purposes only in good restaurants. 4. Always ask to leave one copy of the menu so that to verify if the sum of check is correct before you pay it. Prague is famous for its loose morals on par with such cities as Amsterdam, Barcelona, London or Berlin. In addition to the clubs and bars there are a lot of cabarets, discos, pubs, jazz clubs, gay bars, gay clubs and private-clubs with special atmosphere full of temptations. In anticipation of the weekend, European youth comes to the capital and at nightfall the respectable Czech capital reveals a very different side. Nightlife of the city does not stop until the morning. Most clubs are conveniently located in the central areas of Prague. They all seek to attract visitors with original interiors and informal atmosphere. Nightclubs are full of young people from around the world, it is not surprising that their musical preferences affect the themes of local parties. Nightclubs, bars, cabarets, strip clubs offer programs no matter what genre of music you love: rock, pop, disco, house and techno, hip-hop and R&B, folk and jazz, strip shows and cabaret performances. Every year the number of entertaining nightclubs in Prague is growing, which is not surprising, because the nightlife in the city is much cheaper than in other European capitals. Musicians from all over the world come to the clubs of Prague. Every week the well-known DJs and musicians of different directions are performing in Prague. If you wish, you can use the opportunity to attend a concert or disco where your favorite artists perform. In any club you can get information for free about upcoming events, you only need to take their brochures at the entrance. Do not sit in a hotel room at night, feel free to go out to the night streets of Prague! Have fun all night!